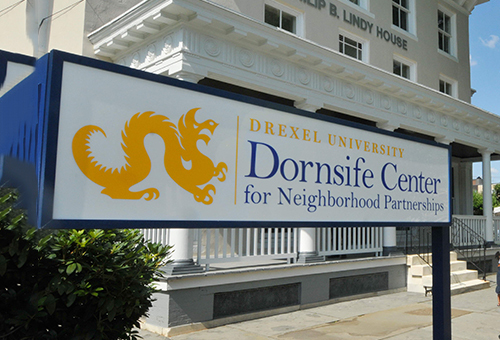 Located between the Mantua and Powelton Village neighborhoods of West Philadelphia, the Dana and David Dornsife Center for Neighborhood Partnerships is the cornerstone of Drexel University’s commitment to civic engagement. 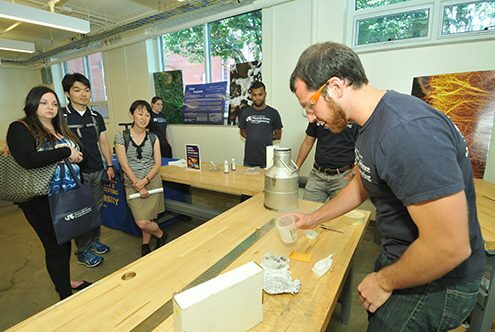 The Dornsife Center fosters creative collaboration between Drexel’s faculty, staff and students, and the surrounding community. Programming at the Dornsife Center is driven by a stakeholder planning process. Neighbors who visit the Dornsife Center can find health and wellness programming that features health services delivered by Drexel’s College of Nursing & Health Professions. People of all ages can jump into dance classes taught by dance students in the Westphal College of Media Arts & Design. 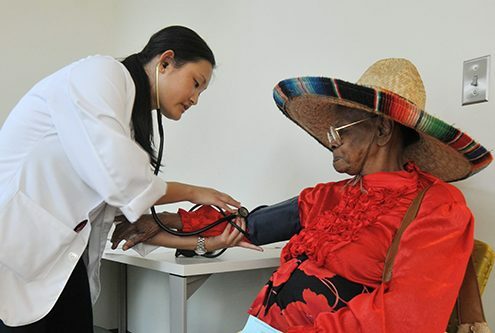 At the Thomas Kline School of Law’s Community Lawyering Clinic, law students take on a number of legal issues each year, representing and advocating for neighborhood residents. 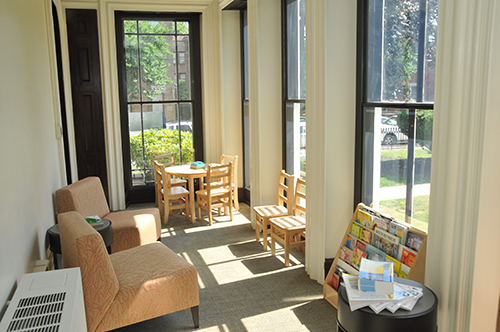 Writers from both the neighborhoods and Drexel meet regularly through Writers Room to create original creative works, and adult jobseekers come regularly to use the bank of computers in the Beachell Family Learning Center to work on digital literacy skills and apply for jobs. 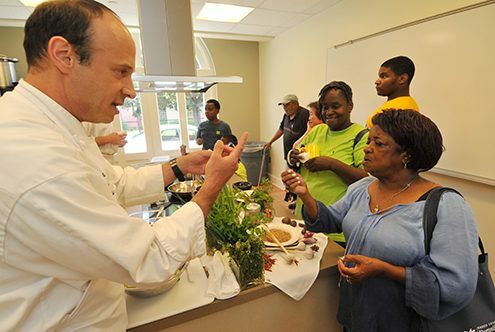 One of the most popular programs at the Dornsife Center is the monthly community dinner, a big idea in itself that is emblematic of the community-building ambitions of the Dornsife Center and its neighborhood participants. 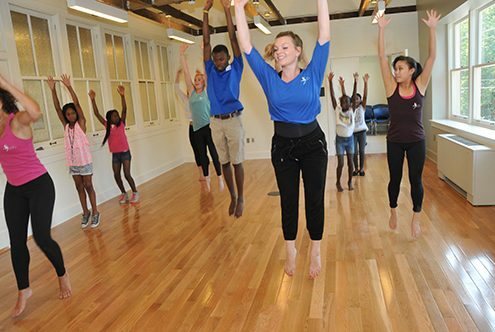 PIDC is proud to see how far the Dornsife Center has driven these amazing community efforts to ignite change in its surrounding community. PIDC helped finance the Dornsife Center’s development through the New Markets Tax Credit (NMTC) program. Additional funding from philanthropy and Historic Preservation Tax Credits was also used to purchase and renovate a 1.3-acre property with three existing buildings.